As we said, one of the most common feeling expressed by the first visitors of Pompeii was, generally, disappointment. The common idea of a Roman town was probably based on literary rather than archaeological evidence. And because, usually, the texts that are transmitted are the official ones, Roman cities were expected to be large, monumental and majestic. Unfortunately, Pompeii is quite far from that model. Buildings are cramped and often brightly coloured. But, probably, the most disappointing bit for the first (and contemporary?) visitors were the frescoes. One (only apparently unrelated) premise: it is interesting to notice the difference between what those visitors said about Pompeii when they were there and what they said about it years later, when they were relying on their memories more than their experience. Years after his first unexcited comments, Goethe writes that Pompeian frescoes are so excellent that they could stand next to Raphael’s ones. First, I don’t think it makes a lot of sense to assess archaeological evidence on its aesthetic or artistic relevance. This approach has caused the destruction of many Pompeian artefacts that were jus considered “not pretty enough”. 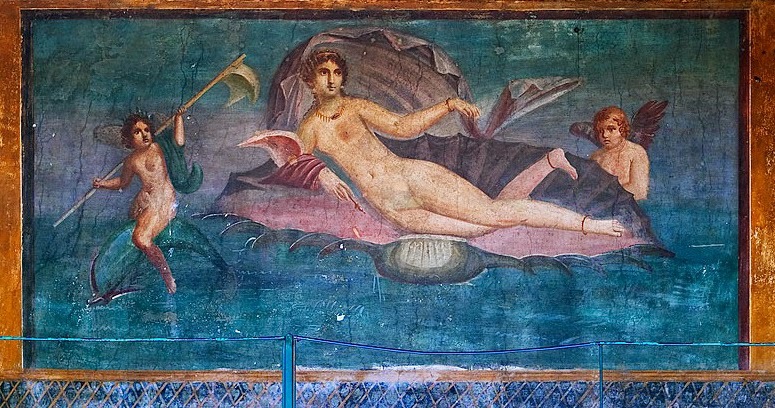 Second, if we really want to assess the aesthetic value of Pompeian frescoes (from an art history point of view or as simple observers), it doesn’t make a lot of sense to me to compare two artefacts that are so distant from each other like first century AD Roman frescoes and Italian Renaissance oil paintings. 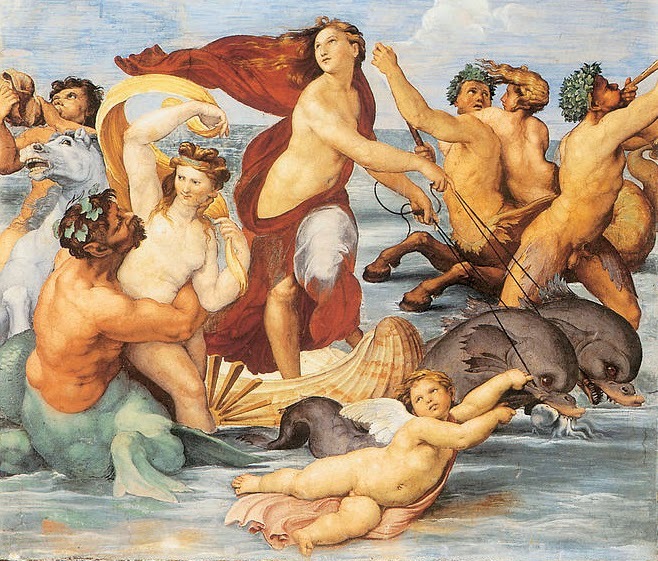 However, if we do compare them, and assume that Raphael’s canons are a sort of archetype all figurative arts should conform to... then... well... Let’s put together the triumph of Galatea by Raphael and the fresco in the House of the Venus in the Shell. The subject is vaguely similar, but the images are very different. And I’m not saying that one is better than the other, just that they are very different and that it seems to me that the artists had very different concerns and goals. The point is that if you’re an enthusiastic Neoclassic (or proto-neoclassic) artist that goes to Pompeii, eager to see and reproduce images that you imagine to be Raphael-like (following the syllogism: Roman art is perfect, Raphael’s art is perfect, Roman art must look like Raphael’s art) and you see our lovely Venus in the Shell... there is going to be quite a clash between your expectation and reality. This could explain why some of the drawings of the excavation time are, again, slightly dissimilar from the original. And we can definitely say it, as in some cases the original artefact survived and we can compare it to its documentation. We can imagine the artist spending hours and hours learning how to reproduce human bodies in the «right» way (i. e. as more realistic as they can). So, maybe, they just couldn’t help drawing in the way they have learnt and inadvertently “corrected“ the anatomy in the copy. Another hypothesis is that they are drawing not what they are actually seeing but what they were expecting (and wanting) to see. We could even hypothesise that the artists didn’t want the public to suspect that they were not good enough at drawing. Maybe they didn’t want anyone to think “what a lousy copy! The artist is so useless that cannot even draw the leg of the Venus properly!”. Here is an example from Herculaneum. 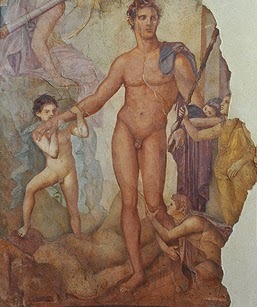 The drawing (from the book Antiquity Recovered ) is a copy of one of the Herculaneum frescoes that are now exhibited in the Naples Museum. 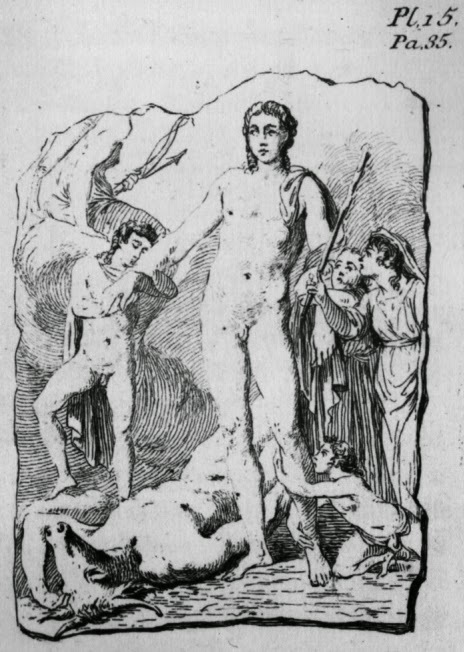 All the body proportions (especially in the case of the Minotaur) look much more “harmonic” than the original. Actually, in the case of Pompeii and Herculaneum there is at least another major, and slightly bizarre, reason that explains why representations are precious sources of information but have also to be treated with a certain care. For the first years it was not allowed to make copies of the exhibits in the Museum of Portici. But the temptation was too strong and some artists (like, Bellicard, author of this one), took quick sketches that, probably, refined out of the museum, without the original in front of their eyes. According to Lyons and Reed, this would also explain why there are no bootleg copies of the artefacts positioned close to the entrance: there were always too many guards nearby. A mix of “cosmetic documentation”, the gap between expectation and reality, and memory-based drawing could also explain why there is so much discrepancy between the documentation of the frescoes of the Ekklesiasterium in the Iseum and the actual fragments exhibited in the Museum of Naples. In spite of the very realistic style (always beware of the realistic style! ), and the fact that they were commissioned to top class professionals of the time, the drawings not always match the evidence, sometimes quite dramatically. But that story probably deserves a post on its own.